Available with Inlet Pressure Compensation Diaphragm. Inlet Pressure up to 200 mbar. Problem free adjustment during operation is possible. ‘GG’For steady control with a spring fitted for compensating the weight ofthe diaphragm assembly, provided with small diameter internal impulseconnection. ‘GGB’ For On, minimum Off control. No spring provided;supplied for by-pass with low fire operation. Large size valve requiresexternal impulse. 'GGO' For zero pressure control, with spring forcompensating the weight of the metering assembly, has a small diameterinternal impulse line. Zero pressure governor GGO for injector (Pre MixType) burner. 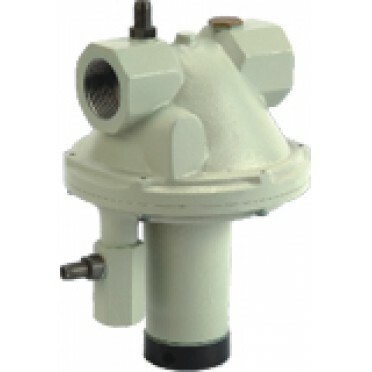 Ratio Control Valves maintain constant air & gas ratio and regulate the gas pressure.